Some breeding practices go too far. These are unlike any at your local zoo. Be happy you weren't born during the Triassic period. This is proof that some prehistoric creatures were interesting AF! Should this park be allowed to shoot and kill potential poachers on sight? They may all look albino...but they're not. Some of them have gotten a little ridiculous! This cute little guy needs our help! If you think Rihanna likes to walk around wearing very revealing outfits, check out her llama doppelganger. It's completely naked! This sloth often gets mistaken for Michael Cera. It also often gets mistaken for another sloth that looks like Jesse Eisenberg. The one on the right stars in the upcoming comedy movie, "Hail to the Chimp." This is pretty much the greatest dog ever. Not only does he look like Samuel L. Jackson, but he's the only dog whose bark sounds like the F-word. 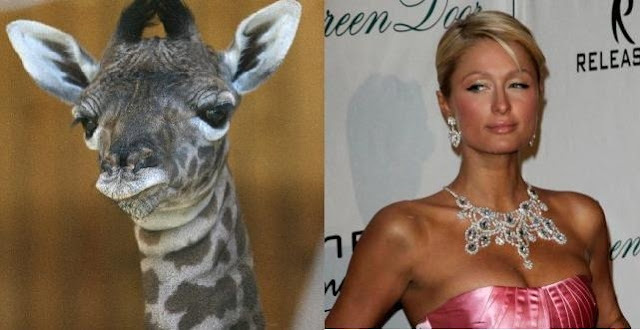 Both Paris Hilton and this giraffe are known for their catchprhase, "That's hot." Except when the giraffe says it, she's talking about the intense heat of the African savanna. Larry King's resemblance to this monkey is just the tip of the iceberg. Because after his retirement, Larry has developed a strange habit of flinging his own poo. 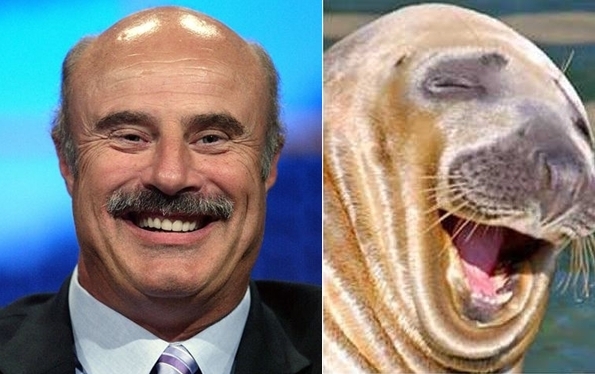 Comparing Dr. Phil to a walrus is a bit unfair. After all, the walrus has more chins. And hair. Admit it. If you heard that one of these two creatures had eaten a guy's face off, your money would be on Busey. Christopher Lloyd was so horrified that he looks like this creepy marsupial, he got in his DeLorean to go back in time and stop it from ever being born. Sadly, the plan did not work, because time travel isn't real. You think they don't look alike? That's bull! Next time you see Will Ferrell, be sure to shear off his hair and then make a nice, cozy sweater! One makes you laugh as Mr. Bean. One makes you laugh by biting into a Tootsie Pop. But which is which? And they both look like a walrus! 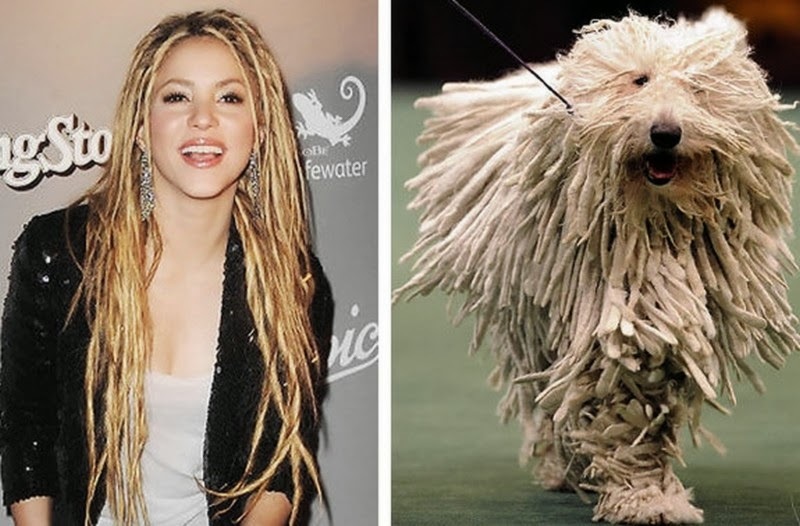 This dog told everyone she looks like Shakira, and her fur don't lie. Do you believe in life after love? What about life after going to a dog groomer who's also the world's biggest Cher fan?